Optionally available is an on-board 64GByte eMMC flash memory chip. Further more, a low profile dual M.2 SATA SSD mezzanine module is available as additional mass storage solution (4HP assembly), and also a multifunction side card (8HP front width). 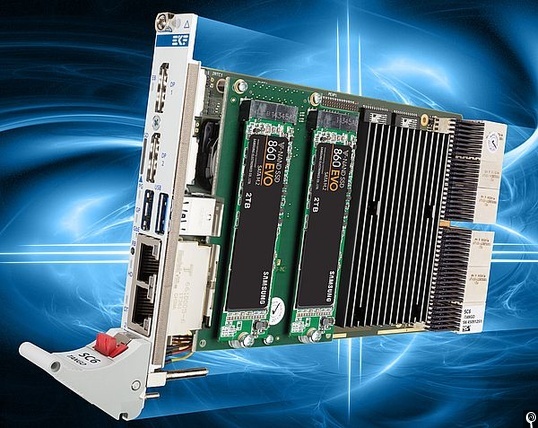 The SC6-TANGO backplane connectors provide a CompactPCI Serial system with 4 x PCIe and optionally 2 x GbE. Due to its robustness and very low power consumption, the card is suitable also as stand-alone solution (IoT & Edge computing).